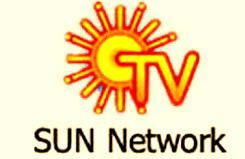 Sun tv network news. Kalanithi Maran controlled Sun TV Network, has threatened to stop the Television channel signals of their entertainment and information TV channels in the four languages ​​of the South of India DTH platform by Anil Ambani controlled nearby major TV channels for non-payment of fees. In a public notice, such signals to Sun TV network that are Sun TV, KTV, Sun Music and other channels in Tamil, Kannada and other channels Udaya, Gemini TV and a few more TV channels ofTelugu and Malayalam including Surya an other channels, "after three weeks This issue arised because the Reliance Big TV was unable to make payments on outstanding amount." Sun TV CFO VC Unnikrishnan offered "no comment" while BIG TV did not responded to this issue at this time. So, we hope that Reliance big TV dth will solve this conflict soon and their south customers will continue to enjoy the Television channels of their favorite SUN Network.